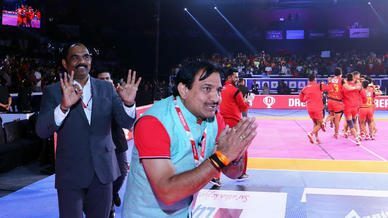 A team captain plays a crucial role in kabaddi as it is his responsibility to communicate tactics to the team while simultaneously fulfilling his role as a raider, a defender or an all-rounder on the mat. We take a look at the captains who excelled in their respective roles in Season 6 and led their teams by example. 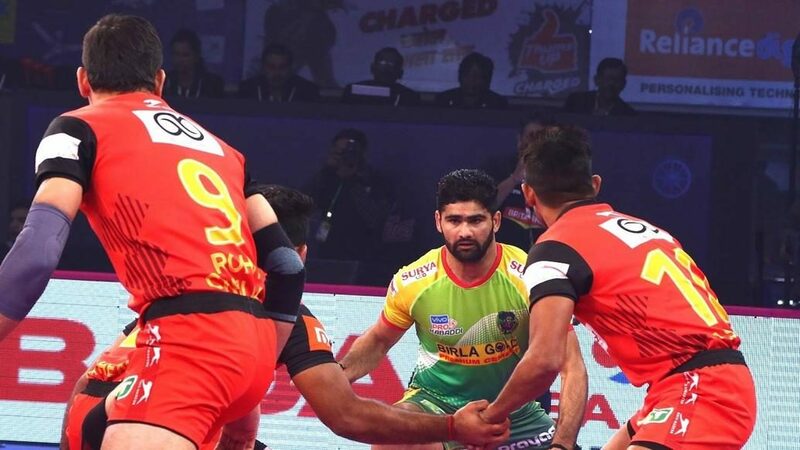 Two-time VIVO Pro Kabaddi MVP Pardeep Narwal was at his scintillating best in Season 6 and finished the campaign with 233 points to his name in just 21 appearances. The raider was also second in the season in terms of average raid points scored with 11.1 per match and had the most number of Super 10s among all players with 15. It was a magnificent campaign for the 21-year old Patna Pirates captain and walked away with the Best Raider award for his efforts this season. Tamil Thalaivas captain Ajay Thakur became one of only two men in VIVO Pro Kabaddi history with multiple seasons of over 200 raid points and he performed at an elite level throughout the campaign for his team. The veteran raider finished Season 6 with 204 points to his name, almost thrice as many as the next highest scorer for Tamil Thalaivas. 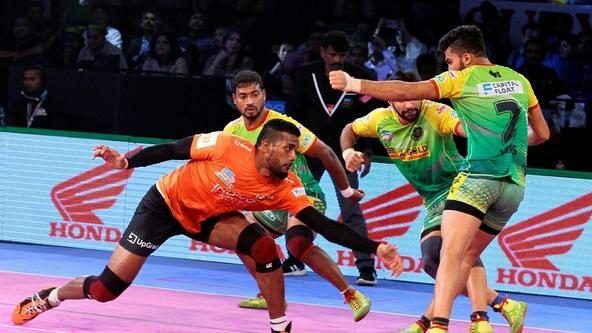 Thakur managed seven Super 10s at an average of 9.23 raid points per game and marshalled his resources well in a team consisting of kabaddi heavyweights like Manjeet Chhillar and Jasvir Singh. 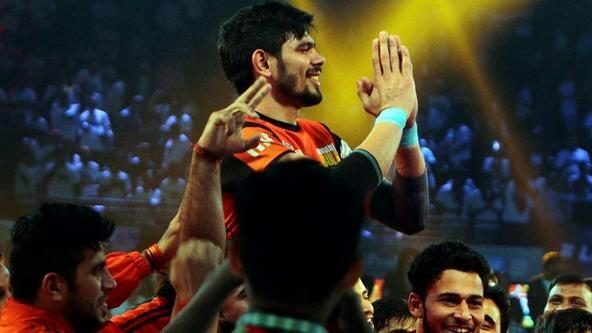 Bengaluru Bulls’ coach Randhir Singh mentioned that he put a lot of faith in skipper Rohit Kumar before the season and the raider delivered as he led the franchise to their maiden VIVO Pro Kabaddi crown with his vigilant captaincy and quality performances throughout the campaign. Despite playing as the secondary raider to Season 6 MVP Pawan Kumar Sehrawat, Kumar finished the season among the top 10 raiders with 162 raid points to his name. In Qualifier 1, Kumar delivered in defence, scoring his first High 5 in his team’s come-from-behind victory over Gujarat Fortunegiants. A true team-man, Kumar did it all for Bengaluru Bulls in Season 6. After a slow start to the season, Monu Goyat burst into life midway through the campaign and led Haryana Steelers with his raiding performances, finishing with 160 raid points in 20 appearances. He scored 10 Super 10s in Season 6, of which seven came in Haryana Steelers’ final 10 games of the campaign, helping the team finish the season with a flourish. Goyat’s form towards the end of their campaign and Vikash Khandola’s magnificent performances when leading the attack were big positives for Haryana Steelers that they will look to build on going forward. U.P. Yoddha captain Rishank Devadiga, who finished with 104 points in Season 6, was part of his team’s three-pronged raiding unit alongside Shrikant Jadhav and Prashanth Kumar Rai, which accounted for 85.75% of the team’s total raid points. With U.P. Yoddha needing a big finish to their campaign to qualify for the Playoffs, Devadiga led his side to five wins and a tie in their final six fixtures which helped them finish third in the Zone B standings. In the Playoffs, U.P. 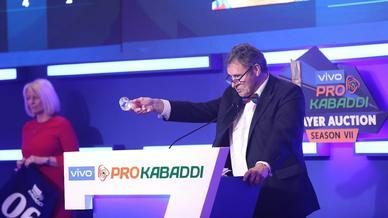 Yoddha recorded impressive victories over U Mumba in Eliminator 1 and Dabang Delhi K.C. in Eliminator 3. Devadiga finished the campaign with 100 raid points, becoming the only player to record multiple triple-digit raid point campaigns for U.P. 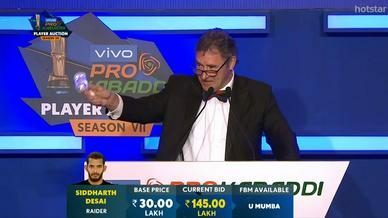 Yoddha in VIVO Pro Kabaddi.